Bad news for the ‘Obama-messiah’, only one year into Trump’s presidency, and the numbers don’t lie. At some point, you’d think the Democrats would have to account for why their policies never actually deliver the ‘help’ they keep promising to minorities. Especially when the ‘big bad Conservatives’ who are roundly denounced as ‘racists’ and ‘bigots’ who are supposedly corporate shills in ‘the pocket’ of big financial interests are actually making a meaningful difference in the lives of these very same minorities. Ok, maybe that question is unfair. 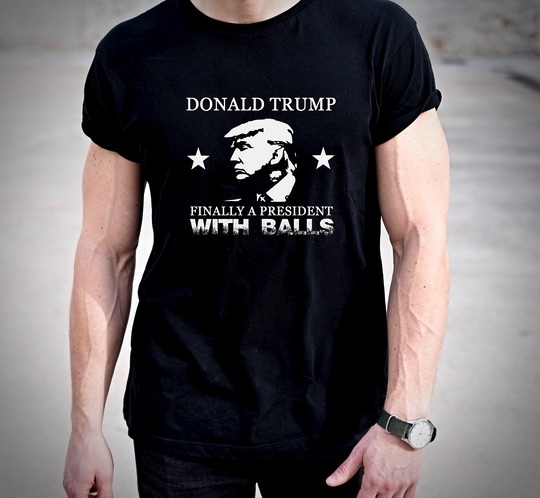 After all, it’s a long list, including Democrats, Major Media outlets, Hollywood, Al Sharpton, ‘rights groups’, University Professors and so on. But NOT on that list? The Labor Department. This is good news twice over. The reports that unemployment GENERALLY hitting a long-term low would obviously be welcome news. And it is. “This labor market is still really firing on all cylinders,” says Scott Anderson, chief economist at Bank of the West in San Francisco. But it is — specifically — good news for minorities, too. News that is either ‘awesome’ or ‘devastating’ (depending on your biases) in that it totally destroys the liberal narrative. 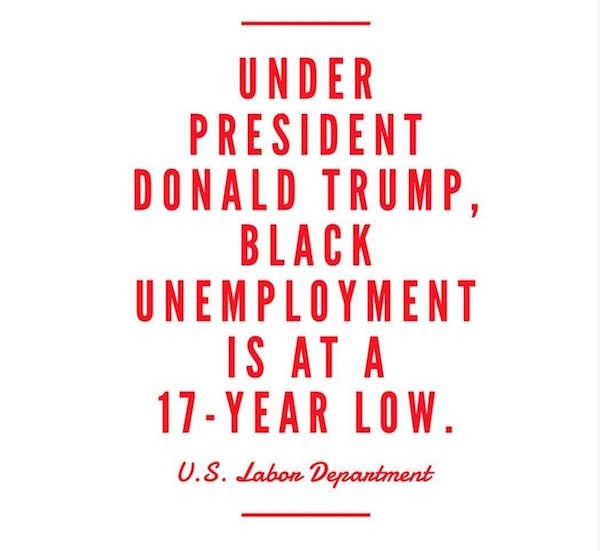 Bureau of Labor Statistics( BLS), the unemployment rate for black Americans is the lowest it has been since the year 2000, 17 years ago. …During the Bush and Obama years (2001 -2016), the black unemployment rate fluctuated between 7.7% and a high of 16.8%. The article had a handy chart, for anyone skeptical of the numbers. So, Trump, who was focussed on jobs for ‘Americans’ and not target demographics is delivering exactly what he has promised. But decades of Democrats offering to be the great white hope of minorities everywhere somehow hasn’t panned out. Could it be they are making promises their policies cannot possibly keep? No wonder their approach to criticizing right-of-center policy always has a Chicken Little ‘the sky is falling’ ring to it. Becuase otherwise, they might be forced to deal with the facts.